Marriage takes courage because it is something worth fighting for. We need to put on our boxing gloves DAILY and fight for our marriage. CASE AND POINT: Oscar DeLaHoya was a champion boxer that the whole Hispanic community was proud of. He invested a lot of money for children in the Barrio communities. All his games were sold out with the Hispanic community dominating the seats. Any Hispanic that you would talk to and mention Oscar’s name, they would respond with acalades. His last fight was sold out months in advance. There was excitement in the air. But something happened that surprised everyone. 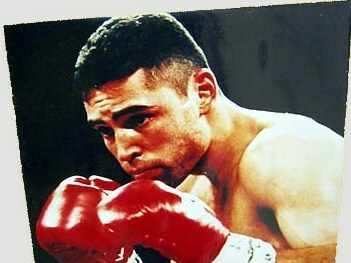 In one of the early rounds, Oscar DeLaHoya refused to come out. He decided that he did not have what it took and that he would not be able to win the fight. That could be the mistake of his life. The people at the boxing arena were furious. They felt cheated. It was in all the papers. Oscar is no longer their hero. Why?? Because he quit!! They felt that he should have fought to the finish. There is something about fighting to the finish. It takes GUTS to work through all the emotions. It takes guts to admit you are wrong and say you are sorry. It takes COURAGE to give in to your spouse’s desires. It takes courage to let down your guard and let your spouse see the real you. It takes courage to change and choose to PLEASE your spouse. This verse is telling us that if our lives are not disciplined then the church is to stay away from us. In our marriages we need to take the road paved with diligence and perseverance. The road to a successful marriage is rarely SIMPLE because as a spouse you need to be productive and hard-working. Just as we do everything to be successful in our jobs, so should we do the same to be successful in our marriages. The beginning of a marriage is always exciting. The DIFFICULT part is sticking through the rough stuff to the very end. The real test is when the newness and the excitement is gone and the hard-work and commitment begins. Stay committed to the VOWS you made to your husband and to God. Punch it out and move forward with every ounce of your might. Your spouse is WORTH it. He loves you! You are his choice!! !